Get ready for a party experience like no other… Now in it’s 4th year, Kinetic’s annual birthday celebration returns bigger and better. 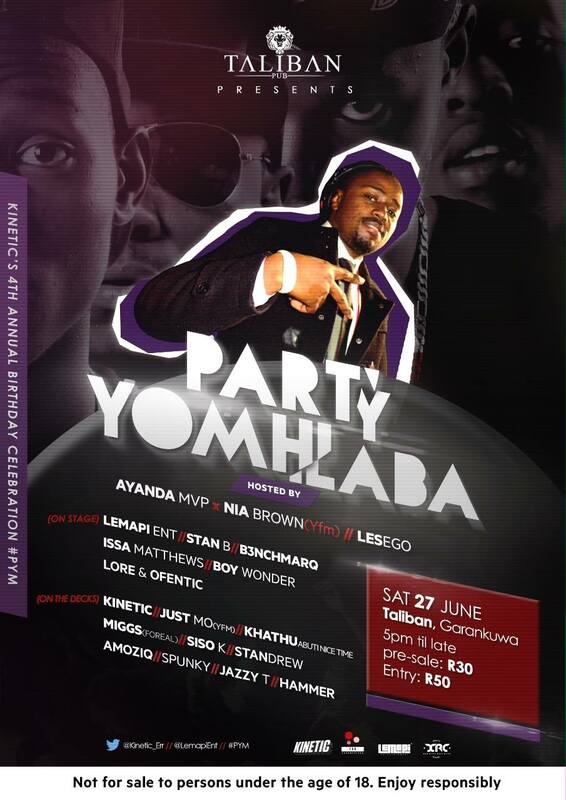 This time teaming up with one of Pretoria’s best Hip Hop outfit Lemapi Entertainment. This promises to be a spectacular event with a line up that’s sure to get you Turned Up!